Happy Monday! I was organizing my jean collection this weekend and rediscovered these 1970s flares I’ve had for a long time. They’re so nice with a puff sleeve vintage sweater for a Monday morning errand run! 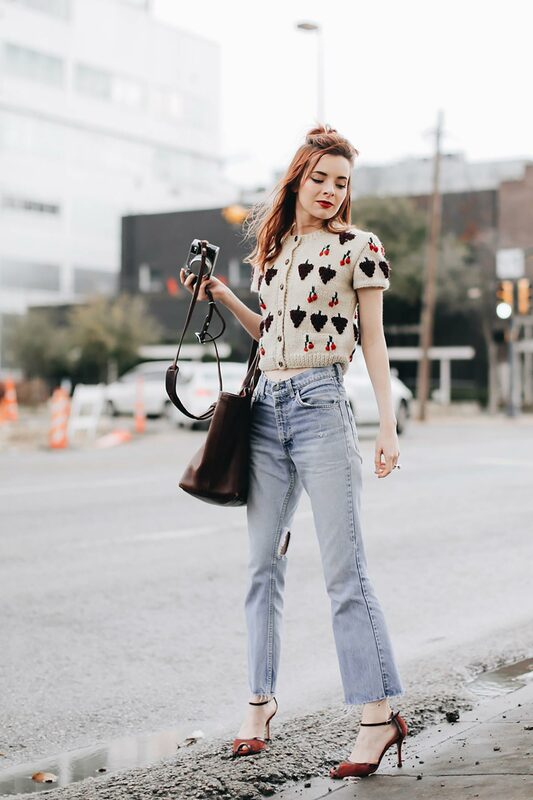 I love being able to put together an easy look like this with clothes I’ve owned and loved for so long. It makes me so happy I still get my wear out of them. 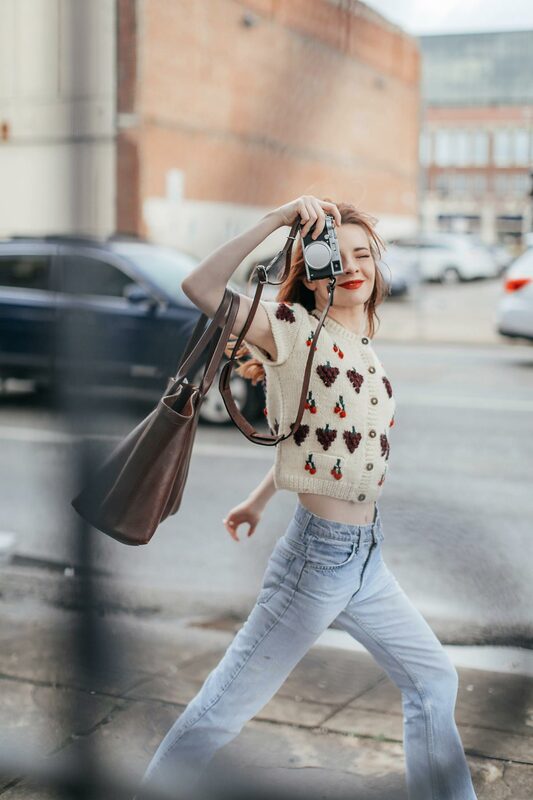 Wearing a vintage knit sweater with vintage jeans, Tango Leike shoes, and Lotuff leather tote. Those jeans fit you like a dream babe! Such a great outfit! The pieces are so fun! 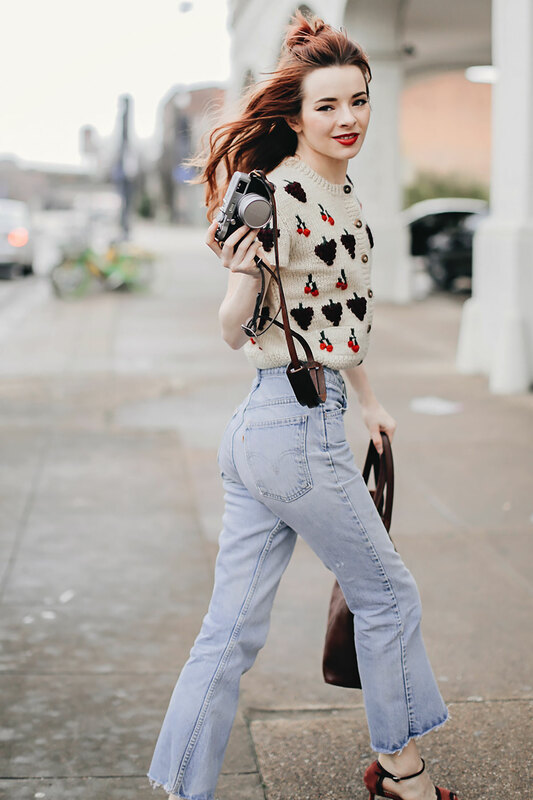 This is such a cute casual look! I love the fun sweater! Such a cute outfit. Love it! Love when I find something in my wardrobe that I haven’t worn in a while. All about those jeans, awesome look! 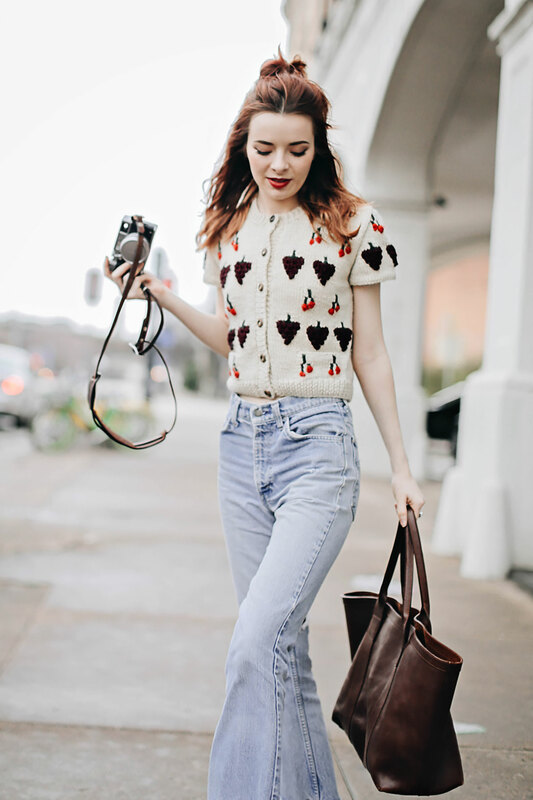 This knit is adorable and goes so well with those jeans! Love that miu miu knit you’ve linked to as well!